I thought it might be fun to update readers on what I’ve been working on. 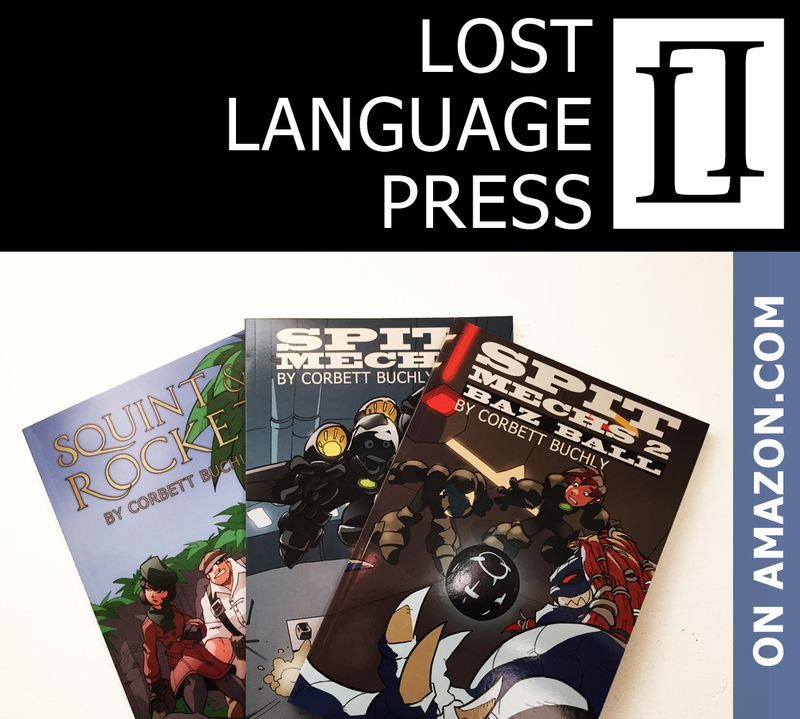 You’re probably already aware that I launched the second book in the Spit Mechs series this month (Spit Mechs 2). 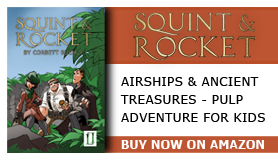 In December, I hope to launch the first in another chapter book series Squint & Rocket. If I get a reasonable response to these two books, I will most likely continue these two series in 2018. But I also write adult fiction. Up to this point that has been almost exclusively fantasy and science-fiction, which of course, includes steampunk (greatest sub-genre ever?) I published a short story last year in the British sci-fi journal Singularity. (And have sent out dozens of other stories to other journals.) I have two separate steampunk novels that I have been sending out to prospective agents. Recently, I’ve developed the outlines for two separate novels. One is set in modern day southwest Texas and follows a young woman who, while navigating a sexist culture and a strained relationship with her father, makes a fantastic discovery that transports the story into something bordering fantasy. The second outline is for a full-out sci-fi novel that touches on themes of racism, conspiracy and competitive sports. Not yet satisfied with either, lately I have been pushing around an idea I have for a modern-day literary story with possible hints of magical realism that would focus on somewhat philosophical dialogue. And I write the occasional poem too. Since there’s not a real monetary market for these, I’ve toyed with the idea of publishing those online (for free). And that’s it, for now. Would love to hear your thoughts! Finally a book with font large enough to read easily! Seriously- well done! !